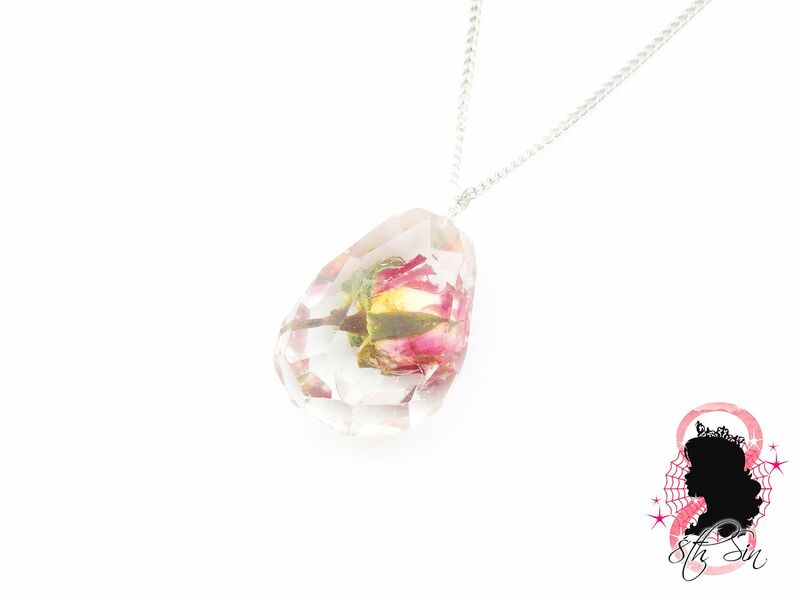 This is a silver necklace featuring a real Bulgarian white rose tinged with pink, encased in clear resin cut into the shape of a teardrop jewel. Made with a real dried rose, clear resin and silver plated findings. The white rose yellows slightly in the drying process and each rose bud shade along with pink tinge will be unique. 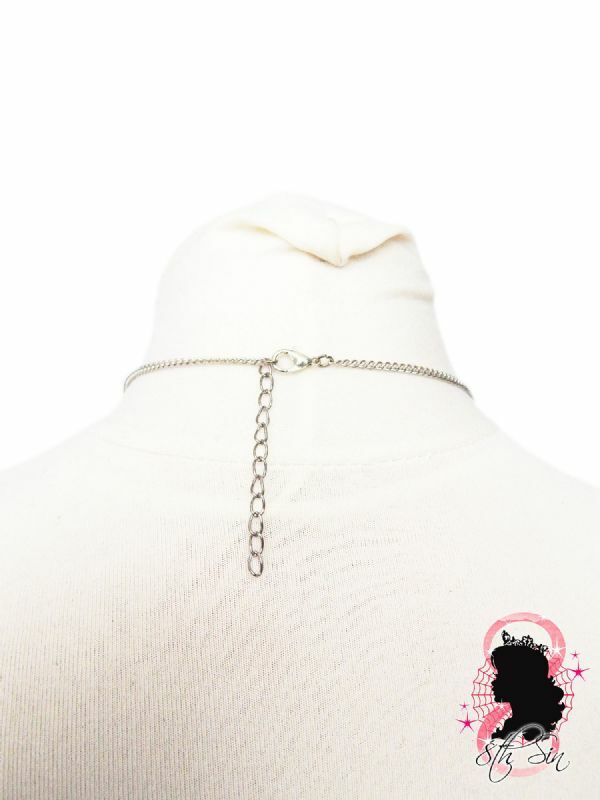 The necklace fastens with a silver lobster clasp. 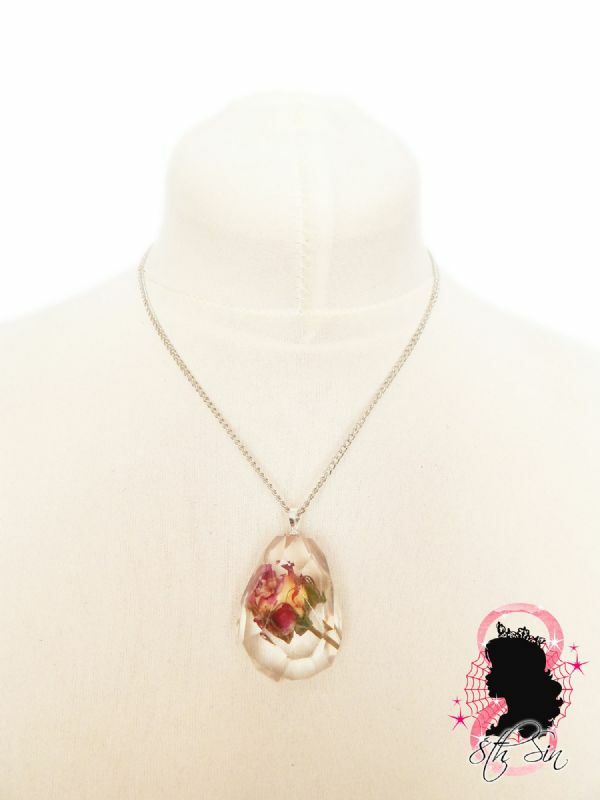 The pendant comes in a small and large size. The size of the small pendant is approximately 40mm long and 25mm wide, and the size of the large pendant is approximately 55mm long and 30mm wide. Each necklace may vary in size by a couple of millimetres. The necklace length is 20"-22" including a 2" extender chain allowing you to adjust the necklace length. Custom lengths are also accepted, simply leave your desired length in the "Note to seller" part of checkout. Please note the resin is cut by hand and as such may have small nicks, scratches or bubbles in it but they will be very unnoticeable. 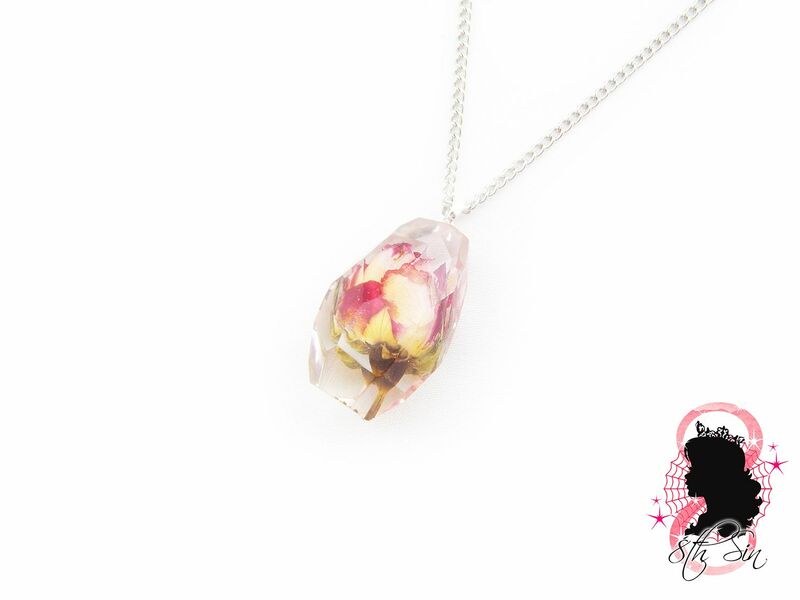 The rose and placement will vary slightly in each necklace as every one is created unique.